I admit it, I used to read Archie Comics. I gobbled them up like candy as a kid. I know I'm not alone because the gang from Riverdale has been gracing comic book covers for 70 years. It was recently revealed that Archie is engaged to marry Veronica. This upset many fans of the series, because we always assumed Archie would wise up and choose Betty. Heck, if he lets Betty go, I'll swoop in and take her. Betty is awesome. Veronica is a snobby, shallow user. Only an idiot would choose Veronica over Betty. Archie, apparently, is an idiot. Here's poor Betty sharing the invitation she received on her blog. It's breaking my heart. Fear not, Archie lovers. This is a scam. 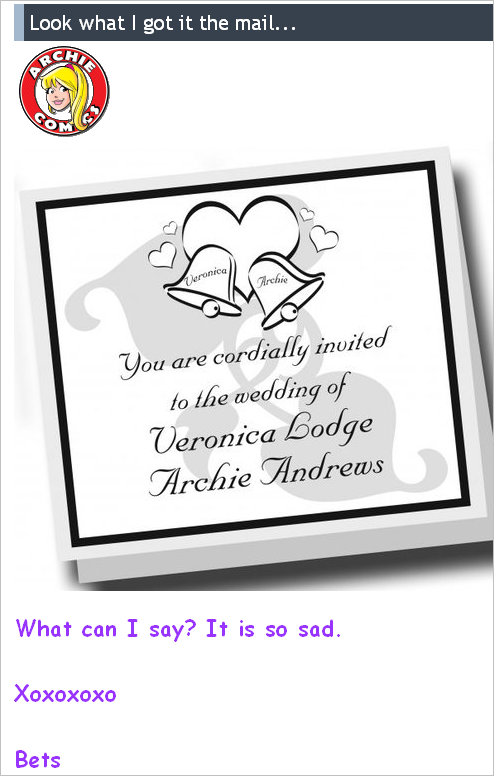 There is absolutely no way Archie will go through with his wedding to Veronica. I'd bet the house on it. Archie, in the end, will choose Betty. 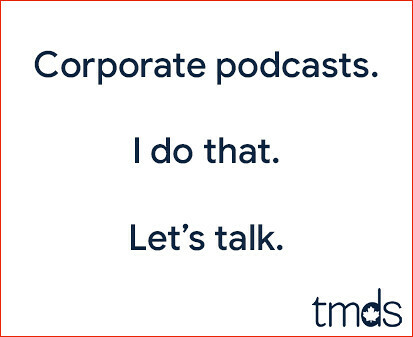 It's a no-brainer. If I was Archie I would keep them both. They're both hot! I hope it's a scam, because I'm ticked off! Because of Archie's choice, I've been forced to take sides, and I don't like it!!! I've read Archie comics since I was a child and have always loved and revered both gals as role models. Issue #600, the first part of this, was EXTREMELY well written for an Archie comic. Try it out if you haven't already! Is there a way to read this series online? Girls care Gary! We grew up with this stuff and it never gets old! Nothing is going to force me to hate either Betty or Veronica. Both were role models for me. Archie is and always has been a goof. He's not good enough for either of those girls! Girls care, and I care. He'll probably choose the only who hasn't caused him any problems.